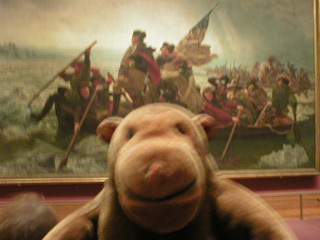 "All that water makes me quiver with queasiness"
Mr Monkey went upstairs to see the galleries of American paintings. As well as big landscapes, he studied Emanuel Leutze's second painting of Washington Crossing the Delaware, which he started in 1850 after his first go got damaged by fire. 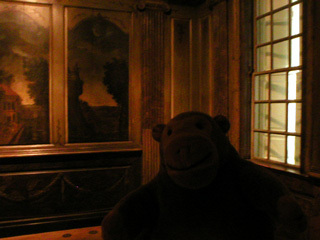 Mr Monkey also investigated one of the 25 re-created period rooms in the museum.